As the chief sporadic blogger for Roundhouse I get a lot of questions about what goes into the blog. People ask questions such as how do you write the blog? Is it a collection from a kindergarten writing contest? Do you give a chimp a typewriter? I also get questions about me personally. Like, how do you live with yourself? Do you ever bathe? The one question I get asked the most is why do you call the fans of Roundhouse the “Faithful”. That one I can answer, the other questions are trade secrets. We use the term Faithful because the blog was being written long before we produced our first drop of beer. The people of the Brainerd lakes area believed in us from day one. Well that faith in us has been proven justified. We are just 8 months into this adventure and we are going strong. 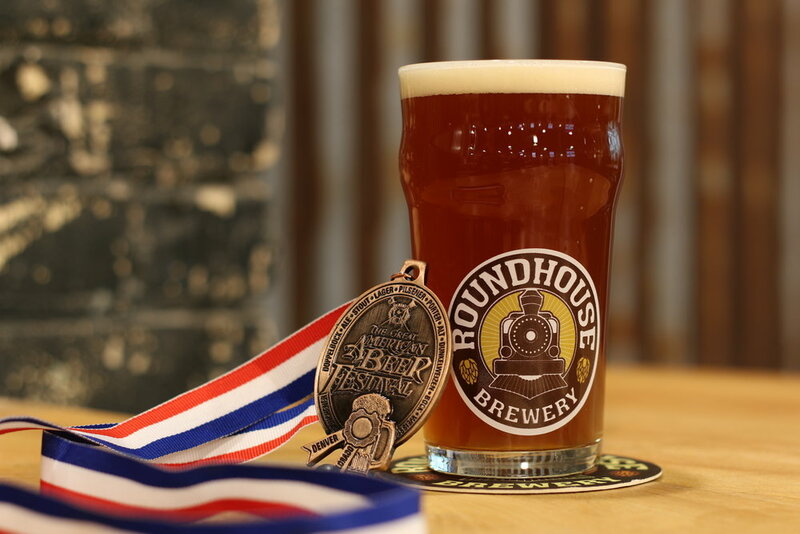 In fact, we even brought home a coveted Great American Beer Festival bronze medal for our Run Around Rye. We wouldn’t be where we are without the great support of all the Faithful, and for that we are thankful. Keep on Chugg’n . . . Responsibly! Not to be outdone by Mark and Nick I decided to don some lederhosen for our wildly successful Octoberfest. Well the jokes on me, it turns out that lederhosen is German for sweaty balls. I was wondering why Amazon threw in some talcum powder with my order. Four days of Octoberfest at Roundhouse was not enough to quench these joker’s thirst. They had to head to Germany for 10 days of beer drinking at the real Octoberfest. 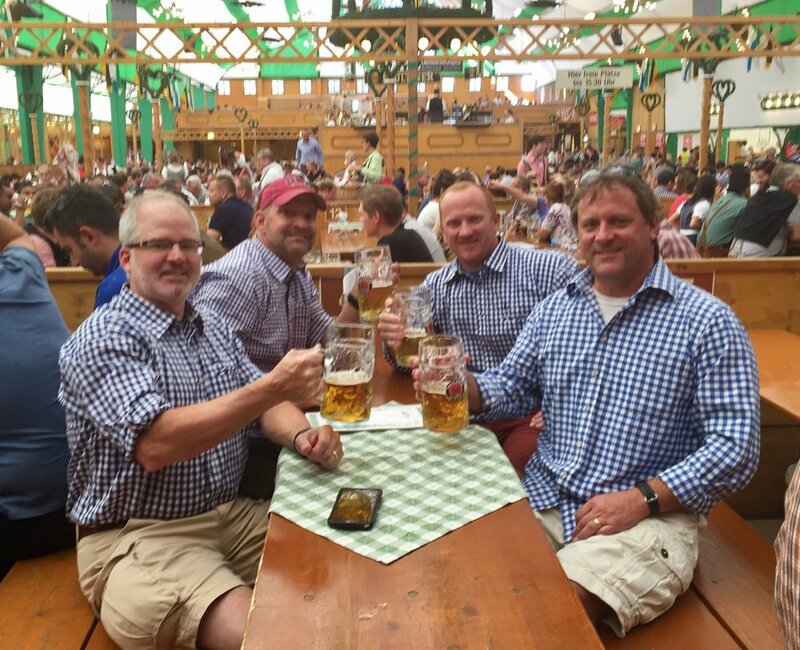 Looks like Mark and Nick decided to give their testicles a break from the stifling heat of lederhosen and go with the matching cargo shorts and tablecloth shirts. Way to go Chuck! Our first brewery medal and a big one at that. I guess it is time to take down our kid’s participation medals and hang up a real medal at the brewery.